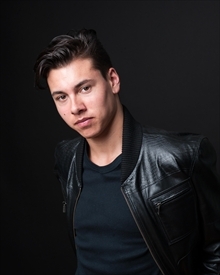 Keanu Gonzalez was discovered at the age of 16 when Baz Luhrmann came to his performance dance school after hearing about him. After seeing Keanu, Baz told him he should think harder about acting as a career and proceeded to cast him as the cover lead ‘Scott Hastings’ in the AU national tour of STRICTLY BALLROOM: THE MUSICAL (the youngest principal member of the cast/crew). After a successful 14 month run, Keanu was immediately cast by one of Australia’s largest theatre companies, The Really Useful Group, to play ‘Alonzo’ in the Australian & New Zealand tour of CATS, which  garnered, high acclaim. Keanu has exceptional physical skills (dance, acrobatics, stage combat & martial arts).